Pizza-by-the-slice stalwart Voodoo Ray’s is being taken over! 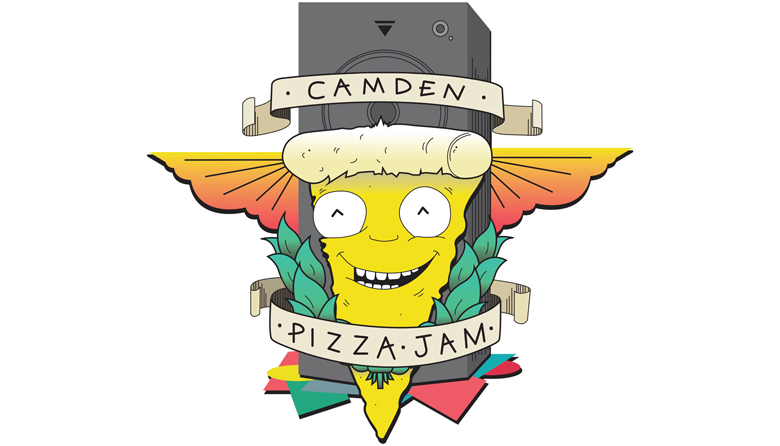 Hang on, don't start crying yet as this takeover sparks the beginning of the Camden Pizza Jam, which sees Voodoo Ray’s lend it’s pizzas to a fellow street-food traders every Thursday for six weeks. From 6pm, you’ll be able to grab a slice of the action with these limited edition pizzas (which will only be £20 for the whole pizza BTW), made with ingredients from a variety of street-food traders including Butchies, Oli Baba's and Maize Blaize. As well as this, there'll be all the classic flavours, cocktails, DJs, and some exclusive Camden Pizza Jam mechandise. Slice club card holders will get double stamps for every for any special purchased and there will also be 2-4-1 on Founders IPA... can we get an ‘ooooh’! Starting things off for the Camden Pizza Jam is Butchies, who will be bringing their buttermilk fried chicken to join the pizza party.